Even though he plays Peter in ‘The Divergent Series’ we have all fallen in love with Miles Teller’s amazing humor and unbelievable acting skills, so we were really happy he was casted to play ‘Mr. Fantastic’ in the new ‘Fantastic Four’ movie! We pretty much can’t wait! Tell us how you liked it in the comments or tweet us @DivergentFction. 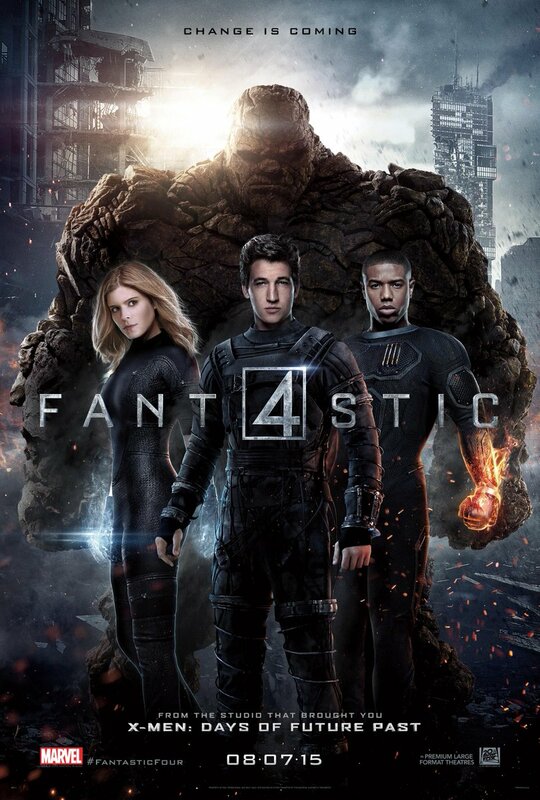 ‘Fantastic Four’ will be released on cinemas August 7. Categories: Miles Teller | Tags: Miles Teller | Permalink. Watch Four get protective in this new ‘Insurgent’ clip! Remember why we all love Four? Maybe because no matter what, he’s always willing to protect Tris (and well, he’s hot). Even knowing how strong she is, he just wants to make sure she’s ok! Actually, we believe that Tris is rocking the pixie cut! Check the first clip here and tell us what do you think in the comments or tweet us. Categories: Amity, Four/Tobias, Insurgent, Insurgent Movie, Insurgent News, Peter, Tris | Tags: amity, four, Insurgent, insurgent movie, Insurgent News, peter, Tris | Permalink. We love them as ‘Tris’ and ‘Peter’ in ‘The Divergent Series’ but Shailene Woodley and Miles Teller are able to play every role they want. With their stunning performance together in 2013’s ‘The Spectacular Now’ and individual performances in this year’s ‘The Fault in Our Star’ (Woodley) and ‘Whiplash’ (Teller) they’ve showed their talent one more time. That’s why the British Academy of Film and Television Arts (BAFTA) wanted to honor them with nominations on their EE Rising Star Award, which designs young stars to watch in the future. 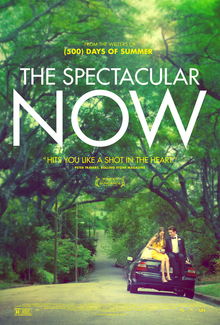 ‘The Spectacular Now’ poster (2013). Starring Shailene Woodley and Miles Teller. ‘The Fault in Our Stars’ poster (2014). Starring Shailene Woodley and Ansel Elgort. 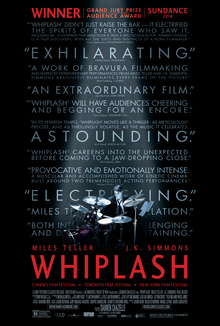 ‘Whiplash’ poster (2014). Starring Miles Teller and J.K. Simons. Would you be supporting them? Vote here and see the rest of the nominees here. Categories: Miles Teller, Shailene Woodley | Tags: Miles Teller, shailene woodley | Permalink. See Tris, Four and Peter in this new ‘Insurgent’ still! Yes, Initiates! 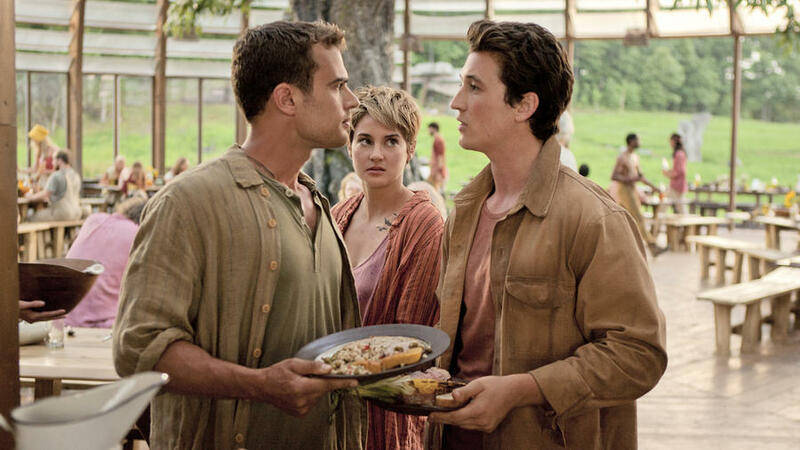 We got another still of Tris, Four and Peter, this time in Amity! As everyone is carrying food, we guess they are in the cafeteria (trying the Amity bread?) with Four and Peter about to get into a fight. We’re more than excited for ‘Insurgent’! If you missed the latest still check it out here. Categories: Four/Tobias, Insurgent, Movie Stills, Peter, Tris, Tris Prior | Tags: Divergent still, four, Insurgent, insurgent movie, movie still, Movie stills, peter, tobias, Tobias Eaton, Tris, tris prior | Permalink.